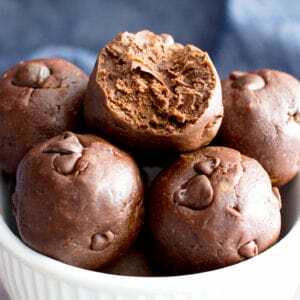 Gluten Free No Bake Brownie Energy Bites (V, GF): a one bowl recipe for fudgy, rich, 7-ingredient no bake bites that taste just like decadent brownies. Vegan, Protein-Packed, Gluten Free, Dairy-Free. Q: So why warm them up? A: fudgy, melty—make that chocolate melty, warm, just… everything your chocolate-loving heart could want or need. Update: there’s a paleo version, just like folks have been asking for! 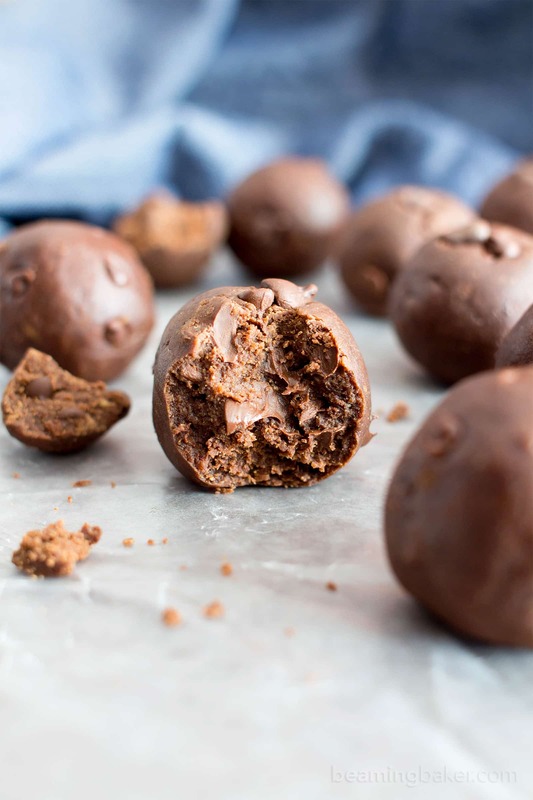 🙂 Check it out here: no bake paleo brownie bites. Enjoy! 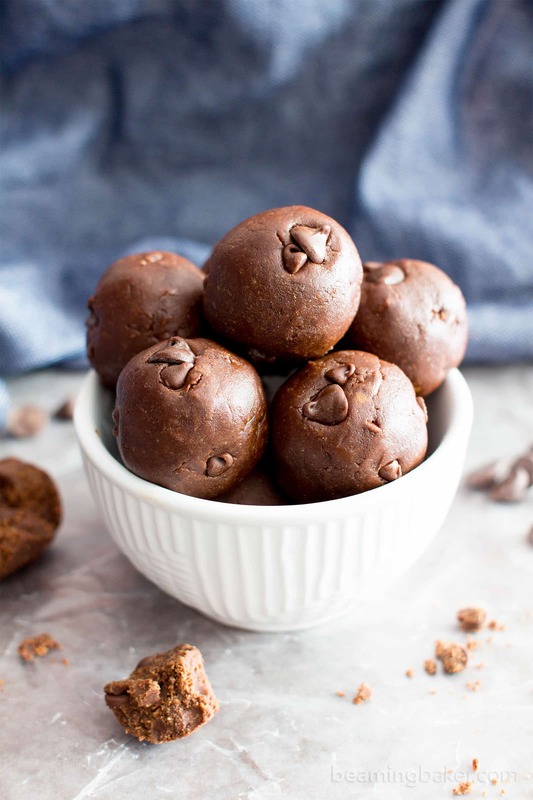 You guys, I have been obsessed with these gluten free no bake brownie energy bites since I first made them. And when I made them again. Then when Erik made them. And then again when I made them. Alright, that’s way too many times in such a short period. But you’ll know exactly what I mean once you give these bites a go. First of all, I’ve been meaning to make brownie bites to share with you for ages! <– Why yes, I did need to exercise a Herculean amount of self-restraint to not scream that. Hehe. Okay, so I love, love, love brownies. Have you tried my Best Vegan Brownies? 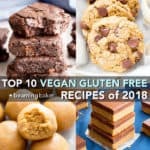 How about my Gluten Free Vegan Brownies? Or… my Ultimate Fudgy Paleo Vegan Brownies? If you answered no to at least one of those, I insist you try them all! Okay, fine… they all have about the same texture, but are adjusted just right for specific dietary needs. But you know what I’m talking about: fudgy, rich, insanely indulgent, soul-satisfying chocolate YUM. I could make, talk about, dream over, draw paintings for, and build statues for brownies til the end of time. But my one pet peeve when it comes to brownies? Like, sometimes you just have to have a brownie in the next 10 minutes, or you’ll faint. Right?? High-five if you totally agree with this. So the solution to this? 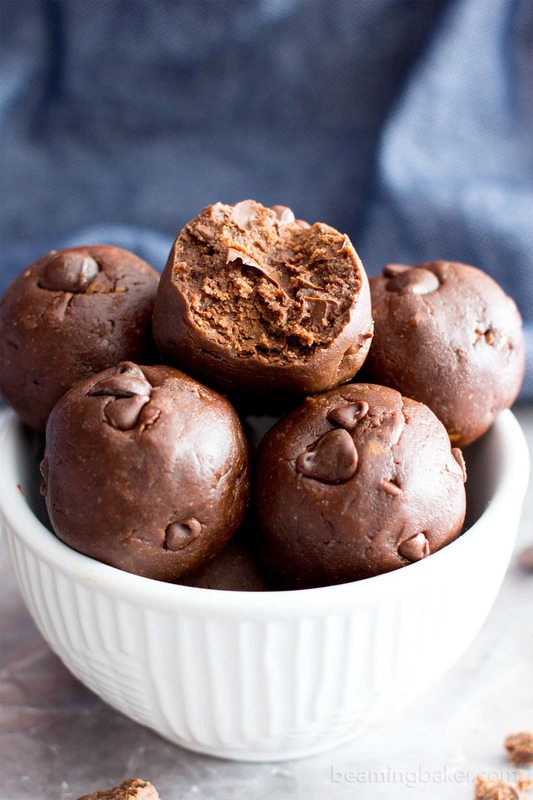 Gluten Free No Bake Brownie Energy Bites . Yep, NO BAKE! 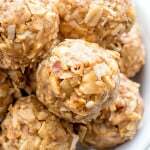 If you’ve been around BB for awhile, you know that no bake is one of my fortes, my loves, one of my numerous food-related middle names, and so on and so forth. 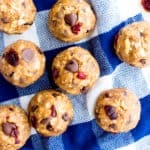 If you love no bake, you’ll have to try this chocolate cherry bite, this pecan pie bite, these chocolate chip cookie dough bites, and these oatmeal raisin bites. But I digress. I know, what’s new, right? These bites come together in less than 5 minutes, minus roll-time, of course. But you can obviously eat a bite or even just take a taste of dough before all the bites are done. 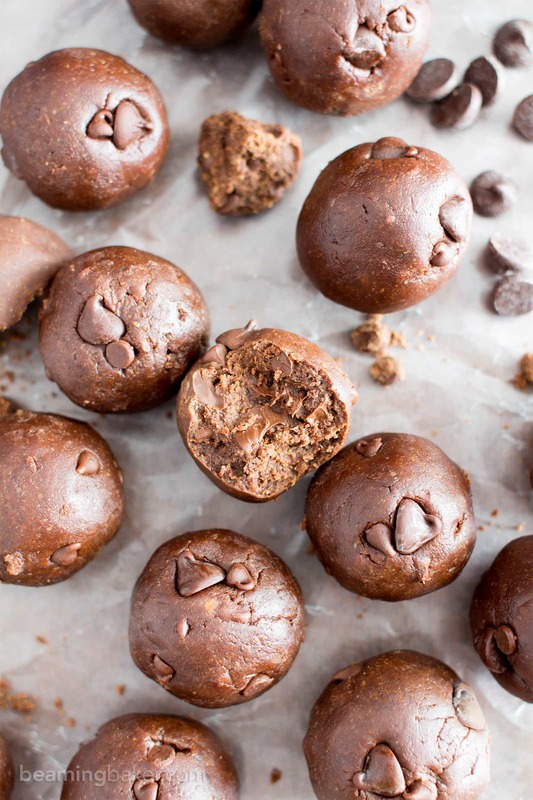 They’re so rich, deliciously dense—just like a brownie should be, bursting with all the chocolate, and incredibly GOOD (and they actually count at energy bites!!). And that’s before you heat these brownie bites up. Meanwhile, you know I’m working on a paleo version to share with you guys. If you had a choice, tell me: would they be made with or without added sugar? And would you want them to be made with almond meal or coconut flour? I’d love to hear your thoughts on this! legit energy bites, that just don’t taste like it! Oh, and Peanut Butter Cup Brownies. What no bake bite flavor would you like to see next? Sign up for the email list to receive easy & delicious gluten free vegan recipes! In a large bowl, mix together all of the dry ingredients: oat flour, cocoa powder, flaxseed and chocolate chips. Add almond butter, maple syrup and vanilla. Using a sturdy spatula, stir and fold together until well incorporated. Using a cookie scoop, scoop and drop a ball into your hands. Here are the 2-tablespoon cookie scoop and 1-tablespoon cookie scoop I use. Roll and press into bites. 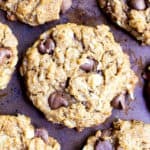 Optionally, press chocolate chips into bites. Enjoy! 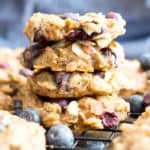 - Adapted from my No Bake Peanut Butter Coconut Bites (Vegan, Gluten Free) and my No Bake Cherry Chocolate Chip Chia Energy Bites (V, GF, DF). - Store in an airtight container at room temperature for up to 2 weeks. - Freezing instructions: Store in the freezer in an airtight, freezer-friendly container for up to 1-2 months. Before enjoying, thaw at room temperature for 10-15 minutes, or heat in the microwave in 10-second increments until warm. 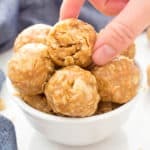 - For melty, warm brownie bites: heat room temperature bites in the microwave in 10-second increments until warm. So delicious—like fresh brownies! 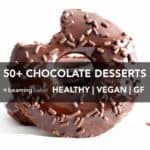 - Nutrition Info: is an estimate based on 27 total bites. 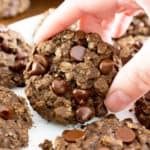 - More no bake dessert bites: cookie dough, double chocolate cherry, almond joy, pecan pie (paleo). LOVE these, the perfect healthier way to get my chocolate fix! Do you have calorie counts for these or any of your other desserts? I try and watch those and carbs as well. Hi Judy, I just finished calculating the nutrition info for these bites. 🙂 You can find them right below the Notes in the recipe. It’s my pleasure to help. Hope you enjoy! I can’t have flax, any substitution recommendations? So many delicious adjectives, so little time! 😉 Oh YES on the no bake! Enjoy! i can’t do oats…what do you recommend as a sub? 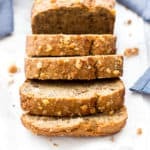 I can’t eat nuts, could I use normal butter instead of almond butter do you think? Sorry I meant to ask whether I could use coconut oli instead not butter!! don’t know why I wrote that haha..
Lol. It happens to me sometimes too! 😉 Not sure that the coconut oil will work. Almond butter is much thicker and resistant to melting (unlike coconut oil). Since you’re allergic to nuts, can you try sunflower seed butter? Hi Bev, you won’t believe how excited I am to tell you: there’s a paleo version!! Yes, I’m a little too proud of myself for anticipating this request. ???? 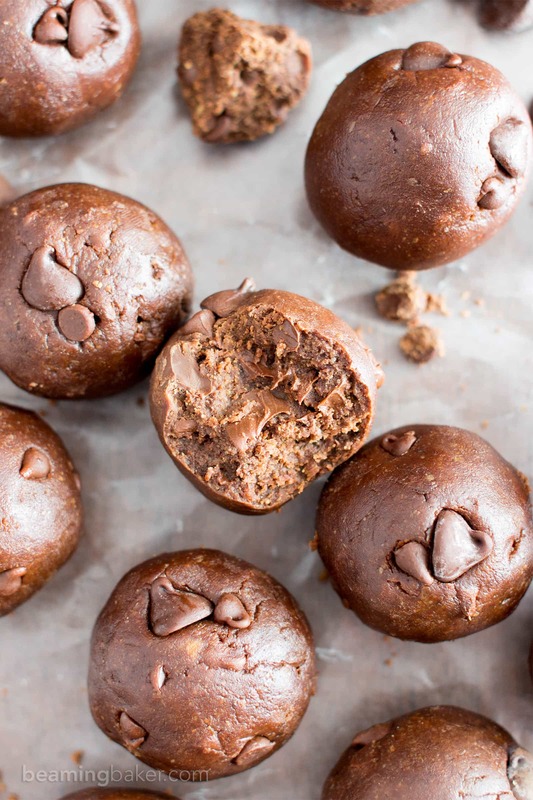 Here it is: https://beamingbaker.com/no-bake-almond-butter-paleo-brownie-bites-vegan-gluten-free-dairy-free-one-bowl/ Enjoy! YAY!!! Can’t wait to try these! Thanks so much!!! YAY!!!! Thanks so much!!! Can’t wait to try these!!! Omg SO good!! I made with salted organic peanut butter, used agave for sweetener and cocoa nibs instead of chocolate chips. So yummy cold or warmed as she suggested. I couldn’t stop eating and now I have a tummy ache lol! This is such a perfect healthy snack or dessert when I’m craving a brownie! Thank you!! Yay!!! I’m so pleased that you enjoyed my recipe, Virginia. 🙂 Also, those cocoa nibs sound like an amazing addition! They’re SO much easier than baking brownies, right? Haha. Enjoy! 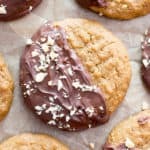 Can you sub coconut flour evenly for the oat flour here or the almond flour in the Paleo? Have a giant bag I need to use ha . Thanks!